Los proyectos como organizaciones, alternativas a las clásicas concepciones de empresa y mercado, constituyen un área central de investigación de INSISOC. Nuestra concepción de proyecto como organización temporal se ha materializado en proyectos de investigación financiados en convocatorias competitivas, en contratos de investigación Art. 83, en publicaciones y en tesis doctorales. La investigación en Dirección de Proyectos, Porftolios o Carteras, y Programas se ha consolidado en varios programas formativos de posgrado y colaboraciones con empresas y escuelas de negocio. Algunos de estos programas han sido certificados y acreditados por IPMA. INSISOC es socio institucional de AEIPRO, la Asociación Española de Ingeniería y Dirección de Proyectos, y ha organizado varias ediciones el Construction and Engineering Project Management Workshop (CEPMAW). También ha publicado en colaboración varias monografías de Dirección de Proyectos. · Business Administration. Value. Stakeholders. Governance. Project Management Office. · Portfolio and Program Management. Control and monitoring. Program Management Office. Multiproject Management. · Training and education in Project Management. 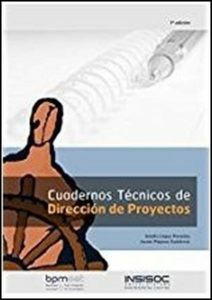 Los proyectos como organizaciones, alternativas a las clásicas concepciones de empresa y mercado, constituyen un área central de investigación de INSISOC. Nuestra concepción de proyecto como organización temporal se ha materializado en proyectos de investigación financiados en convocatorias competitivas, en contratos de investigación Art. 83, en publicaciones y en tesis doctorales. La investigación en Dirección de Proyectos, Porftolios o Carteras, y Programas se ha consolidado en varios programas formativos de posgrado y colaboraciones con empresas y escuelas de negocio. 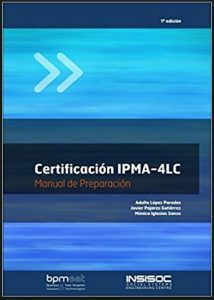 Algunos de estos programas han sido certificados y acreditados por IPMA. Pensamiento sistémico y Cibernética Organizacional han constituido un pilar esencial en la investigación del grupo. En esta línea se han obtenido importantes resultados en proyectos nacionales e internacionales, bajo la dirección del Catedrático Pérez Ríos, académico de la IASCYS y autor de publicaciones de reconocido prestigio. La Universidad de Valladolid concedió el reconocimiento a Stafford Beer como Doctor Honoris Causa en el año 2001 (laudatio StaffordBeer). En los últimos años, el grupo ha centrado sus trabajos en el VSM – Modelo de Sistemas Viables: el diseño y caracterización de las patologías organizacionales, y su aplicabilidad al diseño y modelado de organizaciones resilientes. 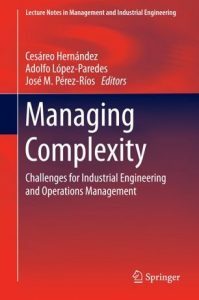 The Application of System Dynamics and Organizational Cybernetics to the study of Complex Systems. To develop software tools to facilitate the systematic application of different methodologies (VSMod®, Team Syntegrity , System Dynamics, VSMM, etc.). To develop software applications to capture and represent knowledge (Col-KCap) and online Delphi studies (Interdelphi). To develop software for information exchange and communication through the Internet (Collaborative Networks, Iberfora, etc.). To produce Internet-based tools for information dissemination (Navegador Colón) or for the creation of university networks in specific fields (universities of Brazil, Portugal and Spain from the Tordesillas Group) to promote collaboration in science and technology. Also this group has been particularly active in using some of the tools described above for networking and research collaboration in academia (national and international). As an example of some of the established networks of special relevance to mention the Red Iberfora, the official website of the Ministry of Foreign Affairs, Spanish Agency of International Collaboration on the provision of postgraduate studies in Spain, the network of Organizational Cybernetics or the Network of systems thinking. It should also highlight the extensive involvement in research projects both domestic and international, such as REDTEMS (Systemic Thinking Network) from the MCyT or IBERFORO (A model system for the exchange of information and decision making) from the CICYT, or “Management Systems and Cybernetics (Msc)” and “Computer Based Modeling, Simulation and Graphic Representation Of Technology Innovation Networks “, both from the European Commission. 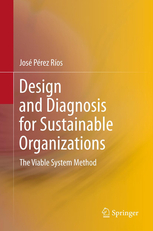 The Application of System Dynamics and Organizational Cybernetics1 to the study of Complex Systems. To develop software for information exchange and communication through the Internet (Collaborative Networks2, Iberfora3, etc.). To produce Internet-based tools for information dissemination (Navegador Colón) or for the creation of university networks in specific fields (universities of Brazil, Portugal and Spain from the Tordesillas Group4) to promote collaboration in science and technology. Also this group has been particularly active in using some of the tools described above for networking and research collaboration in academia (national and international). As an example of some of the established networks of special relevance to mention the Red Iberfora3, the official website of the Ministry of Foreign Affairs, Spanish Agency of International Collaboration on the provision of postgraduate studies in Spain5, the network of Organizational Cybernetics6 or the Network of systems thinking7. It should also highlight the extensive involvement in research projects both domestic and international, such as REDTEMS (Systemic Thinking Network) from the MCyT or IBERFORO (A model system for the exchange of information and decision making) from the CICYT, or “Management Systems and Cybernetics (Msc)” and “Computer Based Modeling, Simulation and Graphic Representation Of Technology Innovation Networks “, both from the European Commission. The common area of research for Faculty Members of INSISOC is Industrial Management and Decision Support Systems. 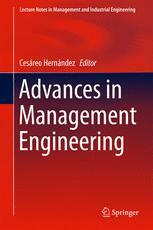 This is a large area which spreads from strategy and managerial economics to controlling and decision support systems. Some funded research from companies correspond with technological transfer from academia to the industry in theses topics. Currently we are involved in Business Intelligence issues for SMEs, Industry4.0, business digital transformation and the circular economy. This is compatible with studies about Entrepreneurship and the startup phenomena. Industrial organization: the study of strategic interactions of competing/cooperating firms or agents in different market and regulatory frameworks. This line can provide decision support on issues such as pricing, advertisement, product lines, target quality, response to competitors, alliances or market regulation. 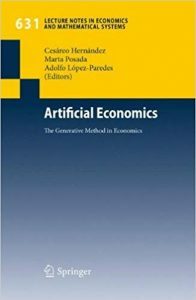 These studies are often carried out combining (agent-based) simulation with (evolutionary) game theory and network theory. Agent based simulations provide a new and exciting avenue. Researches and advisers can compare and explore alternative scenarios and institutional arrangements to evaluate the consequences of policy actions in terms of economic, social and ecological impacts. But as a new field it demands from the modellers a great deal of creativeness, expertise and “wise choice”. 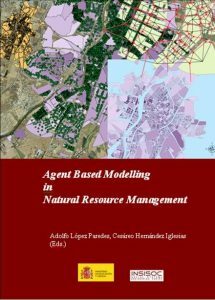 Agent based modelling allows us to study the interactions between the individuals and the institutions. The simulation is focused in the dynamics of the processes, more than in the existence of equilibrium. Out of equilibrium dynamics are far more interesting than static equilibrium into which the system could be finally absorbed. Transients are no more difficult to study than equilibria. Agent-agent and agent-environment interactions are at the core of the approach according to simple local rules, dispensing of ex-ante “super-agents” to assure the emergence of equilibrium patterns. Space is distinct from the agent population in contrast with the differential equation models. The agents are heterogeneous and truly individualistic, whereas in mechanistic models one has to assume group behaviour to make the models analytically tractable. They compete in rigour with mechanistic modelling. If the programme is based upon production rules, it will be as internally consistent as it is the logic used. If it is not, it can be checked for internal consistency, before feeding it with the actual model.